WANT TO KNOW MORE OR PURCHASE? CLICK HERE! 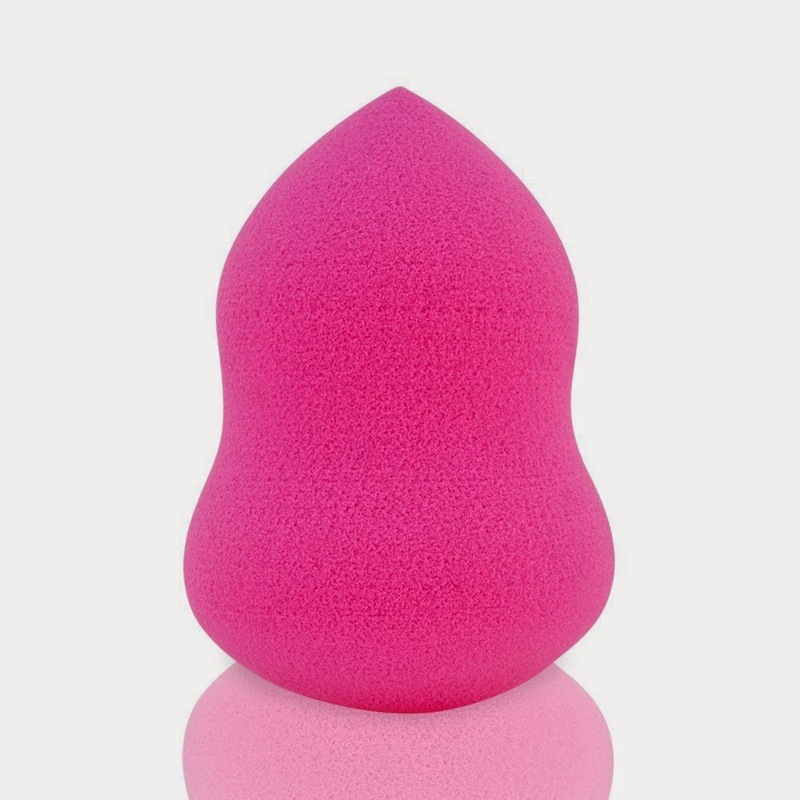 Apply foundation flawlessly with a soft makeup sponge that will leave a smooth, even application. With its teardrop shape, sponge is easy to hold while providing both small and wide surface coverage. Eliminate streaks and allow even distribution of liquid and powder foundation every time. When this arrived at my door, I was quite excited. I have seen so many sponges like these, but never used any. I used to use the cosmetic wedges for my medium to full coverage foundations to sheer them down a bit, but recently I had been using a light coverage foundation with brushes. I tried this straight as it is, and I have to say I wasn't a fan. My makeup application was far from flawless, my foundation went on looking cakey, and everything clung to any dry patch I had. The makeup also went on fairly heavy, and I ended up using a lot more foundation than normal because the sponge seemed to soak it all up. Next use I decided to try the trick that I used to use with cosmetic wedges. I put the sponge under some water until it was fully saturated, then rung it out. The damp sponge was more flexiable, and so much easier to use. I did another makeup application, and what a difference. My foundation went on smoothly, and it looked so natural. My foundation wasn't cakey at all. It did sheer down my foundation a bit, which made everything more natural looking, which I liked. If you are someone who likes a full to medium coverage, then I wouldn't recommend dampening your sponge. However if you have dry skin, and / or don't need much coverage, try dampening it! Cleaning the sponge was alright. After the first use, the sponge was stained, and no matter how much I have tried to clean it, there still is some discoloration. Big deal? Not to me. I think for some this is either going to be a hit or miss depending on how you like your foundation coverage, as well as your skin type. For me, I made this work with my skin, and found the best method that gives me just the right results.